Just one minor, but significant update about the Capitol Theatre in Flint MI. 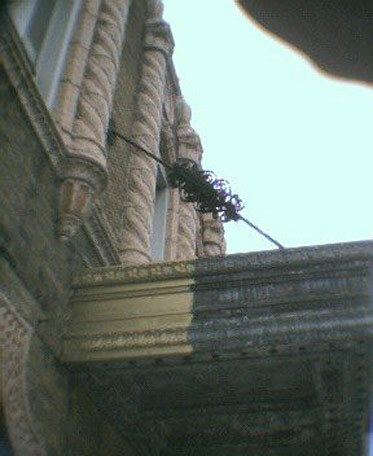 The theater’s arcade canopy facing Harrison Street now has a small sample coat of gold paint which could be the final color of the repaired canopy. A pair of photos (apologies as the sky was overcast) are attached to show the gold color. Gary also wanted us to point out his current Flinn’s Journal column on the Michigan preservation site Water Winter Wonderland. The current column includes photos and a history of the Capitol.